We can't say we're surprised. After our first sampling of the latest Ford F-150, which received four brand-new engines for the 2011 model year, we signed out the two V6 offerings as the ones most worthy of buyer's consideration. And, lo and behold, Ford F-150s equipped with V6 engines are outselling their V8 counterparts for the third month in a row and the first time since 1985 that V8s weren't the dominant powerplant option in Ford's full-size pickup. So far in 2011, Ford has sold 313,183 units – an eight-percent increase over last year and enough to keep the F-series the best-selling vehicle in America for the umpteenth year running. Of the two six-cylinder engine options, it's the EcoBoost V6 that's truly stealing the show, and with good reason. With 365 horsepower and 420 pound-feet of torque compare very favorably with its competitor's top V8s, and it handily outperforms them in EPA-rated fuel mileage (16 city, 22 highway). 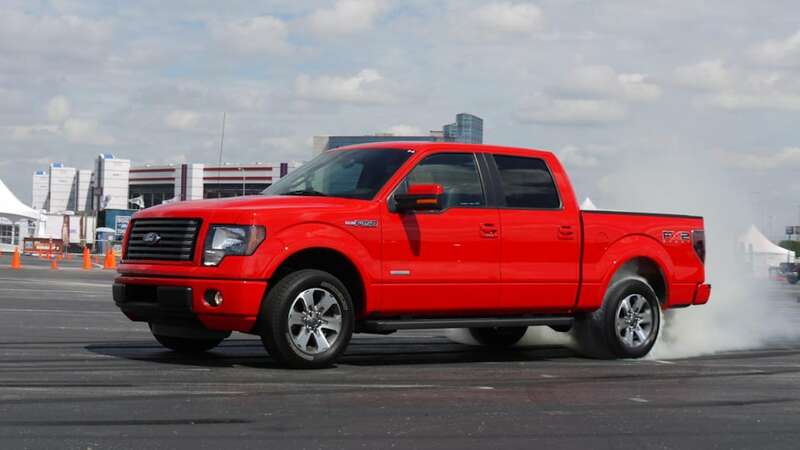 Also worthy of consideration from buyers is the base 3.7-liter V6, which accounted for 16-percent of F-150 sales in July. With 302 horsepower, it offers more ponies that its most direct competitors' base V8s, and it scores 17 mpg city and 23 highway. These two Ford V6 options represent a rather astounding 80 percent of the full-size V6-powered pickup market in America, besting the likes of the Chevrolet Silverado, Ram 1500, GMC Sierra and Toyota Tundra by massive margins. If you want all the sordid details, feel free to peruse the press release after the break. 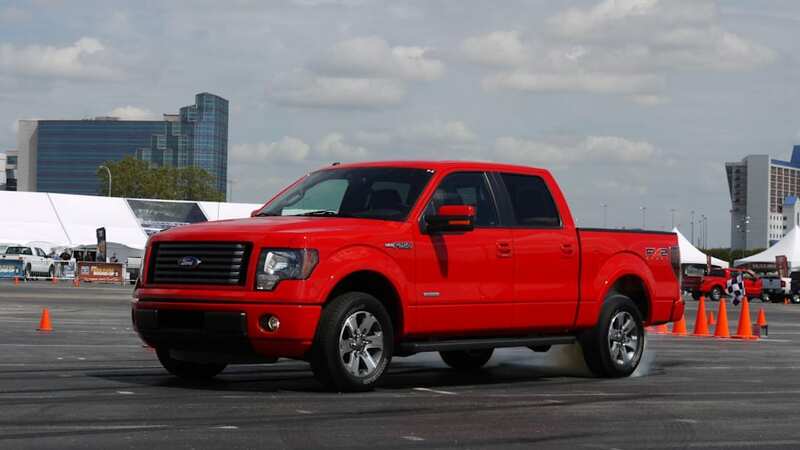 DEARBORN, Mich., Aug. 9, 2011 – With its powerful and fuel-efficient 3.5-liter twin-turbocharged V6 engine, the 365-horsepower Ford F-150 EcoBoost® is outselling all other competitive six-cylinder trucks combined. 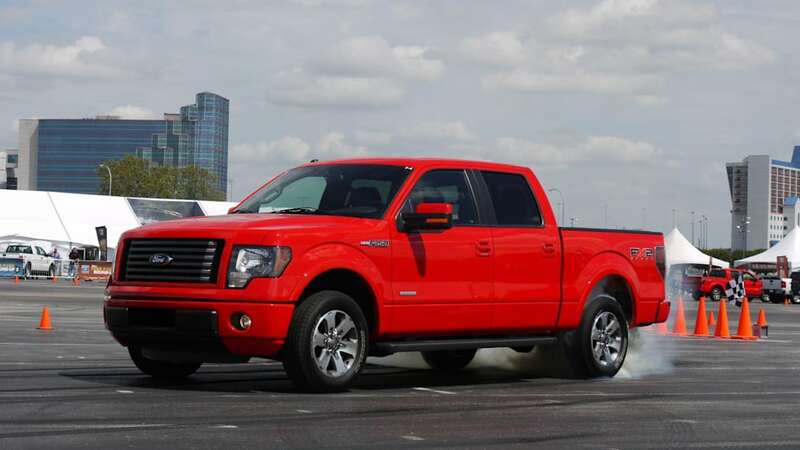 The new EcoBoost V6 is one of four new fuel-efficient engines Ford introduced in the F-150 for 2011. 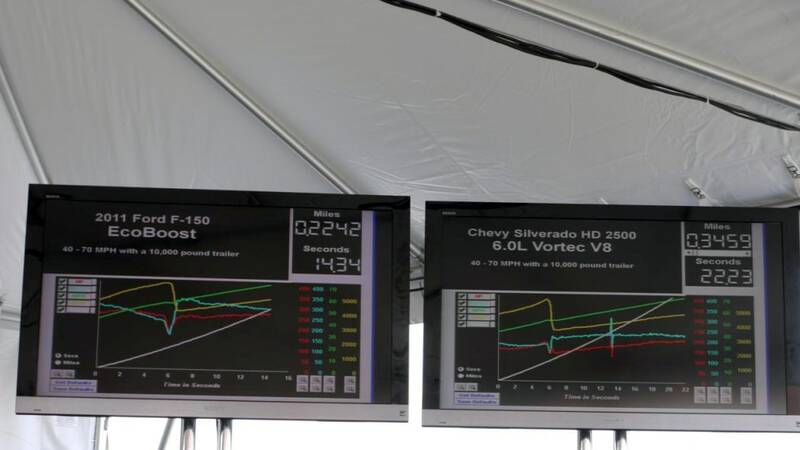 Another of those new engines – a 3.7-liter, 302-horsepower V6 – also outsells all other competitive V6 engines in full-sized trucks from Chevrolet, GMC, Dodge and Toyota. According to sales data from J.D. Power and Associates, both new Ford truck V6 engines accounted for 79.5 percent market share of V6 full-sized trucks sold in July. The Chevrolet Silverado takes second place with 12.1 percent market share, followed by the GMC Sierra with 4.0 percent, the Dodge Ram with 3.5 percent and the Toyota Tundra with 0.9 percent. Nissan does not offer a V6 in its Titan pickup. In July, Ford sold 49,104 F-Series trucks. 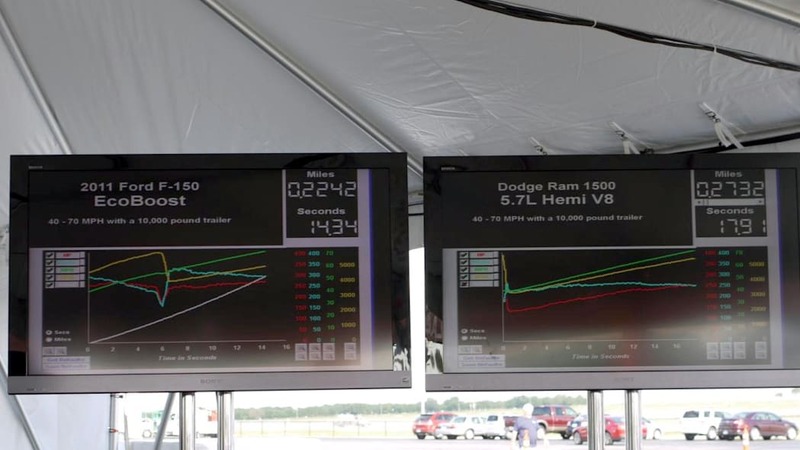 The EcoBoost V6 accounted for 40 percent of the mix, while the 3.7-liter took 16 percent of sales. 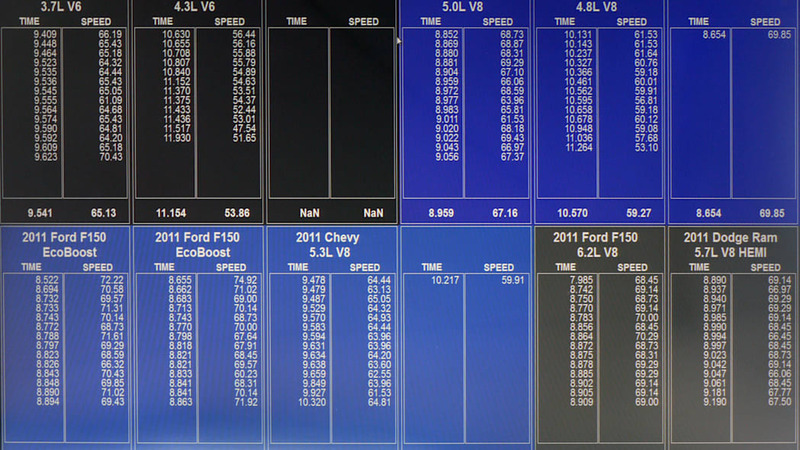 This is the third consecutive month that V6s have outsold V8s in the F-Series. The last time the V6 outsold the V8 in America's most popular truck was 1985. Year to date, the F-Series has sold 313,183 units, 8 percent higher than a year ago. "Both of our new V6 powerplants are changing the way customers think about truck engines," said Doug Scott, Ford's truck group marketing manager. 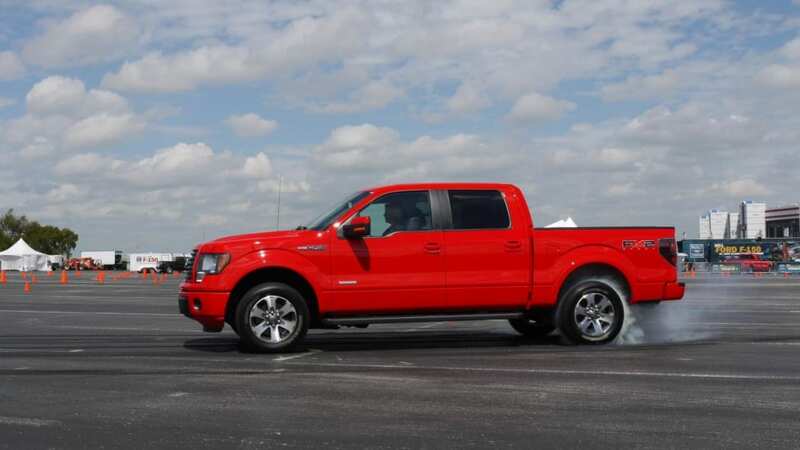 "The 3.7-liter has more horsepower than two of the three V8 engines we offered in last year's F-150. The 3.5-liter EcoBoost V6 engine, at 365 horsepower and 420 lb.-ft. torque, is in a class of its own – no one has anything even remotely close to this engine, which can tow as much as 11,300 pounds and deliver 22 mpg." Fuel efficiency, along with best-in-class performance, is another reason the two new Ford F-150 engines are rewriting the book on V6 truck sales. 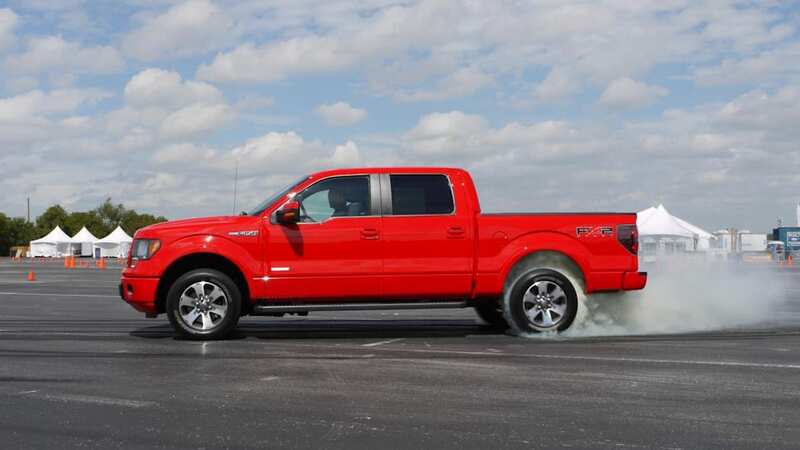 The 3.7-liter F-150 carries an EPA rating of 17 mpg city and 23 mpg highway, while the F-150 EcoBoost is EPA certified at 16 mpg city and 22 mg highway, making it the most fuel-efficient truck with more than 350 horsepower on the market. 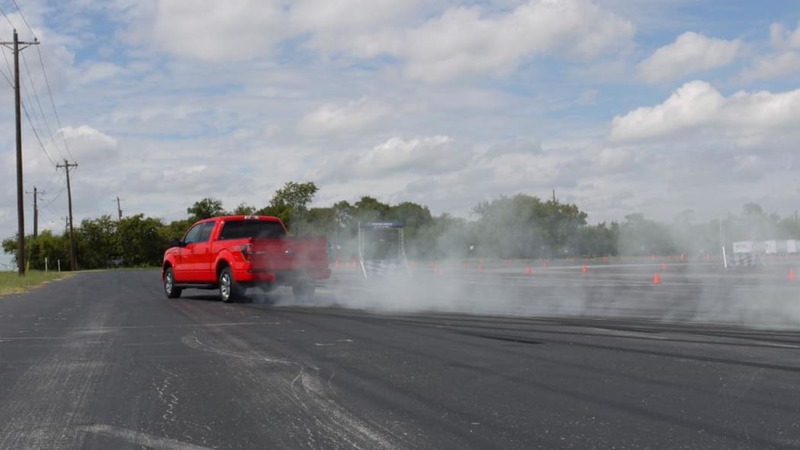 The hot-selling F-150 EcoBoost is now the highest volume vehicle in Ford's growing global family of cars, trucks and SUVs available with the company's patented fuel-saving technology. 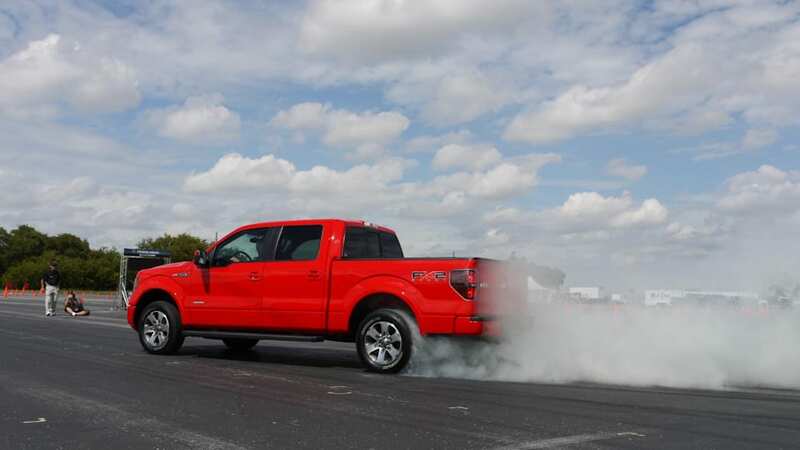 EcoBoost combines engine downsizing with turbocharging, direct injection and other technologies to deliver both performance and fuel efficiency gains as high as 20 percent over the larger engines they replace. Ford holds more than 125 patents on its EcoBoost technology and has launched a family of EcoBoost engines globally in sizes ranging from 1.6 liters to 3.5 liters. The next two models scheduled to receive EcoBoost engines are two of the company's top-selling utility vehicles, the Edge crossover and the Explorer SUV. Both will offer a 2.0-liter EcoBoost four-cylinder engine and deliver class-leading fuel efficiency of 30 mpg and 28 mpg highway, respectively. Edge and Explorer EcoBoost go on sale this fall. Overseas, Ford EcoBoost engines are also a hit, with the 1.6-liter EcoBoost four-cylinder optional in the European C-MAX multi-activity vehicle virtually sold out. Sales volume is nearly 50 percent higher than projections.